I like percussion instruments, especially drums. In this post, let me introduce 二十四节令鼓. 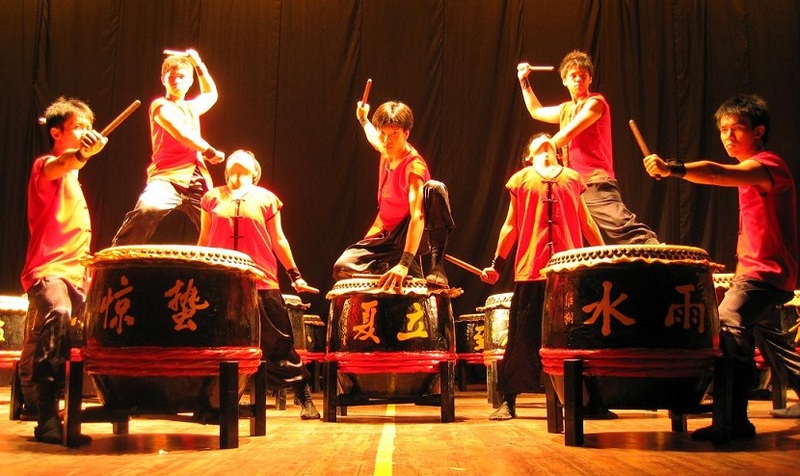 二十四节令鼓 is a type of drumming performance created in 1988 by two Malaysian Chinese. From the name, we know that it is about the twenty-four seasons in the lunar calendar. There are 24 drums which represent the 24 seasons. Although it is called season, it is actually a day in the lunar calendar that signifies a change in the weather. The performance combines the sounds of drums with the movement of the drummers. It is normally performed during Chinese festive seasons in Asian countries. The sounds of the drums are magnificent and inspiring. If you have a chance to see the performance during Chinese New Year, do not miss it. By Wendy in Languages on 31/01/2014 .